Lebanon, officially the Lebanese Republic, gets its name from a Semitic word “lbn” meaning “white.” This name refers to the snow-capped peak called Mount Lebanon. Lebanon is the oldest known country name in the world, which has remained unchanged for over 4000 years. 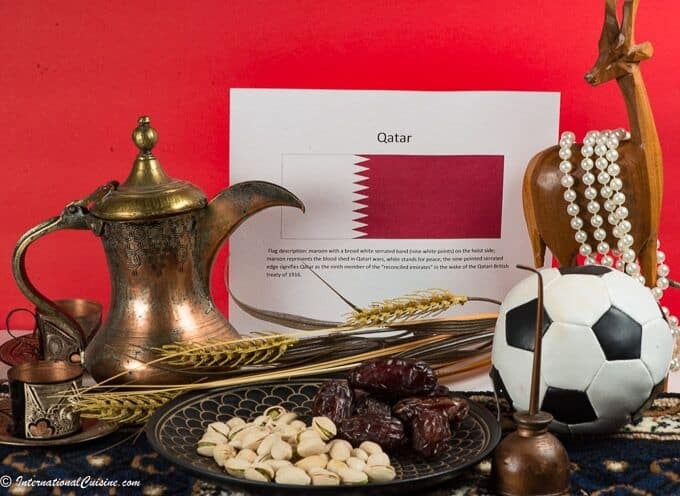 Its location in western Asia, at the crossroads of the Mediterranean Basin and the Arabian hinterland, has molded the country’s rich history, ripe with religious and ethnic diversity. Lebanon lies on the Mediterranean Sea and is bordered by Syria to the north and east and Israel to the south. It is the only Arab and Asian country that does not have a desert. The country is mountainous, with a fertile coastal plain and is part of the Great Rift Valley. Lebanon is home to 15 rivers that run through its steep gorges and out to the sea. In the springtime, all in one day, you can ski in the mountains and swim in the sea. It was the Lebanon cedar (Cedrus libani), a national emblem, that covered most of the land in ancient times. Believed to be planted by God’s own hands, they are also known as “The Cedars of God.” Lebanon is often called “God’s Country on Earth.” Today the country only has about 13 percent of forested land left, which they are trying to conserve and regenerate. The Lebanese cedar is referred to 75 times in the Old Testament. It was highly sought after for ancient woodworking and ship construction. It was also used for the construction of ancient temples and palaces, including Solomon’s Temple. The “Jesus Boat” dating back to the first century and recovered from the Sea of Galilee, was built mostly from Lebanese cedar. The Phoenicians, the original people of Lebanon, are believed to have built the first boat out of cedar, and were the first to ever set sail. Lebanon’s history is lengthy, as she was occupied by numerous countries and empires: the Egyptians, Hittites, Assyrians, Babylonians, Persians, Alexander the Great’s Army, the Roman Byzantine Empire, the Arabian Peninsula, the Crusaders, the Ottoman Empire, Britain, France, Israel and Syria, just to name a few. It was after 400 years under the Ottoman Empire rule that modern Lebanon came under a French mandate and its borders were drawn. Lebanon gained independence in 1943 and established a unique political system; a system that shared power based on its religious makeup. Lebanon was the first Arab country to have a constitution. Today Lebanon is home to 18 different religious sects, making it the most religiously diverse country in the Middle East. From 1975-1990, the country suffered a terrible civil war, as the balance of power shifted from the Christian Maronite to the Muslims, whose population had rapidly grown. Today, Lebanon still has the highest percentage of Christians, at 40%, which is higher than any other Arab nation. Prior to the war, Lebanon was in its heyday. Lebanon was referred to as the “Switzerland of the East”, due to its robust banking and financial sector. Even today, Lebanon has over 100 different banks. Unfortunately, since the war, the country faces substantial debt as they work to restore the economy and rebuild infrastructure. Lebanon is also known as “The Paris of the Middle East”, due to the number of tourists that flock to the country. In recent times, Lebanon faces serious terrorist issues. They have many groups operating in country that pose a constant threat through assassination attempts and bombings. The most prominent groups are the radical Shite militia, Hezbollah, and various Palestinian groups such as: Hamas, Palestinian Islamic Jihad and the Popular Front of the Liberation of Palestine. Another problem that Lebanon faces is the huge number of Syrian refugees that have immigrated there since Syria erupted into civil war. Some estimate that as many as two million Syrian refugees have crossed the border, many of them living in secret to avoid being sent back. This is in a country with only 4.4 million people of its own. By the way, it is estimated there are nearly 18 million Lebanese living in other countries. They face the threat of ISIS/ ISIL, who are trying to gain access to the sea through Lebanon’s city of Tripoli. Lebanon continues to have border disputes with both Syria and Israel. Needless to say, nerves are rattled, and there is a constant worry of war. Its capital city, Beirut, has been destroyed and rebuilt seven times. One can only hope that they can protect their people and the amazing archeological sites that rare found in the country. The only remaining temple of Jupiter, who was the main Roman God, stands in all its glory in Baalbeck, known as the “City of the Sun.” Lebanon is also home to Byblos, the oldest, continuously living, city in the world. It is where the first alphabet was created. The name of the city Byblos comes from the Bible. According to Christianity, Jesus Christ performed his first miracle in Sidon, Lebanon, when he turned water into wine. All these sites, including the cities of Anjar and Tyre, (where purple dye was invented) are UNESCO World Heritage Sites. Most of the citizens of Lebanon are Arabs, with a small minority of Armenians. The official language is Arabic, with French and English both widely spoken. The country scores well in education, with 42 accredited universities in the country, many of which are internationally recognized. Nearly 70% of students attend private schools. Beirut was home to the first law school in the world. Lebanon ranks tenth in the world for overall education and fourth in the world for math and science. 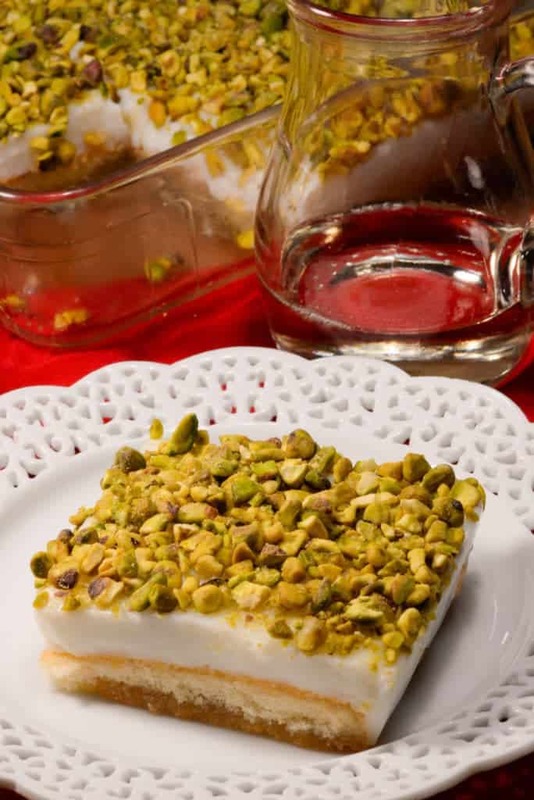 As we look into the cuisine of Lebanon, it is as exciting as its history. Nearly every country and empire that took over Lebanon left an influence. It also has ancient roots by itself, as it was once part of the Levantine cuisine. Many dishes can be traced back thousands of years to Roman times. Their diet is a healthy Mediterranean. Mezze, or an elaborate display of both hot and cold small dishes, is very popular. Common dishes there are hummus, baba ghanoush, pickled turnips, tabbouleh, fattoush, labneh, sarma (stuffed grape leaves). These are always served with Lebanese flat bread, or pita, which is often used as a utensil for the mezze or meal. In fact, bread in Arabic is called esh, meaning life, which gives us an idea of its significance. Seafood, kebabs, falafel and shawarma, are also wide spread. The most often consumed meat is poultry or lamb. 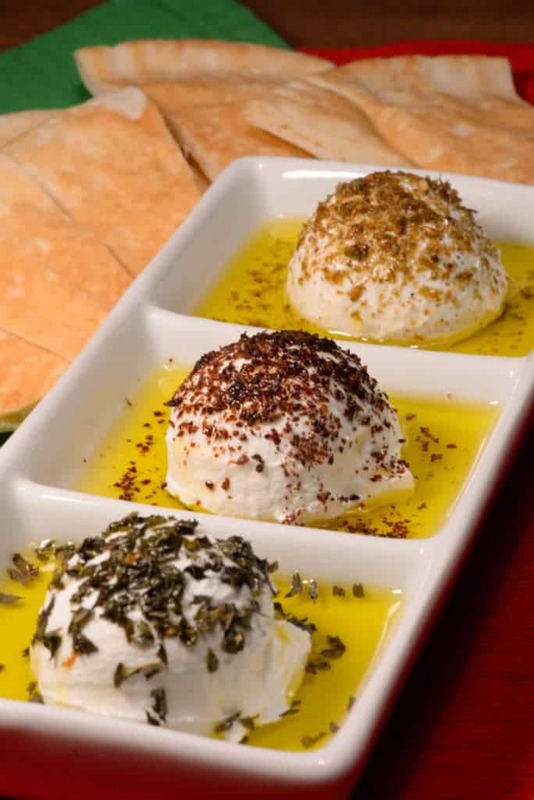 The Lebanese cuisine focuses on herbs, spices and using the freshest of ingredients. The national dish is called Kibbeh or Kibbe. The dish is made with ground lamb, bulgur and spices. It is much like a pate and usually eaten raw. Desserts are usually fresh fruits, like: melons, apples, oranges, persimmons, grapes and figs, as many citrus and fruits grow abundantly there. Baklava and other sweets are also loved. Ahweh is a strong and thick Arabic style coffee that is often served with dessert. Arak, the national drink is made from an anise, flavored liquor which when served with water turns white, and is called “Lion’s milk.” Olive oil, garlic and lemon are core ingredients of the cuisine. Baharat is a very popular spice blend throughout the region, yet it is different from the Lebanese, seven spice, which is made of: ground nutmeg, ginger, allspice, fenugreek, cloves, cinnamon and black pepper in equal parts. Za’atar is another spice blend that is prevalent. 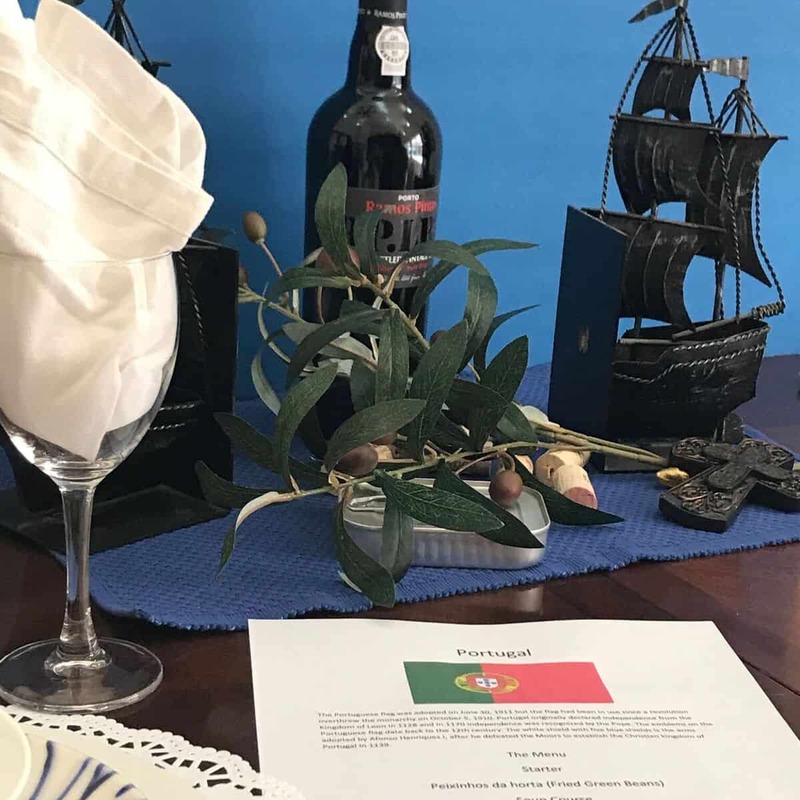 Choosing a menu for Lebanon was not easy, as we have already enjoyed many of the dishes popular in the cuisine from other countries in the region. You will notice the foods listed above are highlighted with links to find those recipes, as any and all would be appropriate for this meal. We set the scene with the colors of the Lebanese flag; red, white and green. The cedar, which is an important symbol of Lebanon and is displayed on the center of their flag, was represented by a cedar scent. The striped hyena, the national animal, was added along with symbols representing the different diverse religions there. Citrus and grapes were placed to represent their fertile land and agriculture. (Lebanon has a robust wine industry as well.) Finally, a piggy bank was placed to represent their very important banking sector. We began with a toast of the lion’s milk, saying “Kesak” meaning, “Cheers” in Lebanese Arabic. Our first course comprised two dishes. First, a little mezze if you will, Labneh, a soft cheese made from yogurt with a lovely lemon flavor, that was made into small balls of cheese and served in olive oil. The cheese balls were flavored with dried mint, sumac and za’atar and served with pita, of course. The second mezze dish was called Sfeeha, a little, delicious meat pie. 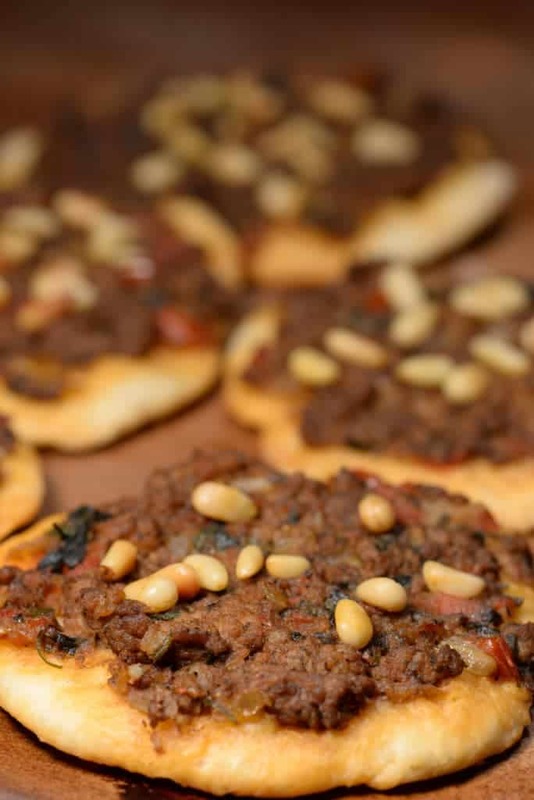 It was minced lamb, with fresh herbs, tomatoes, the Lebanese seven spice blend and pine nuts, all on top of homemade dough. The flavors of Sfeeha are very similar to the cooked version of Kibbe (which is why I chose not to make Kibbe for the main course.) This can also be served like a turnover, instead of a little open pie. Either way, it’s super delicious! For the main course we enjoyed a sumptuous, marinated chicken that was grilled and served with a light and flavorful, garlic sauce, similar to an aioli. Chicken is popular in many forms there. 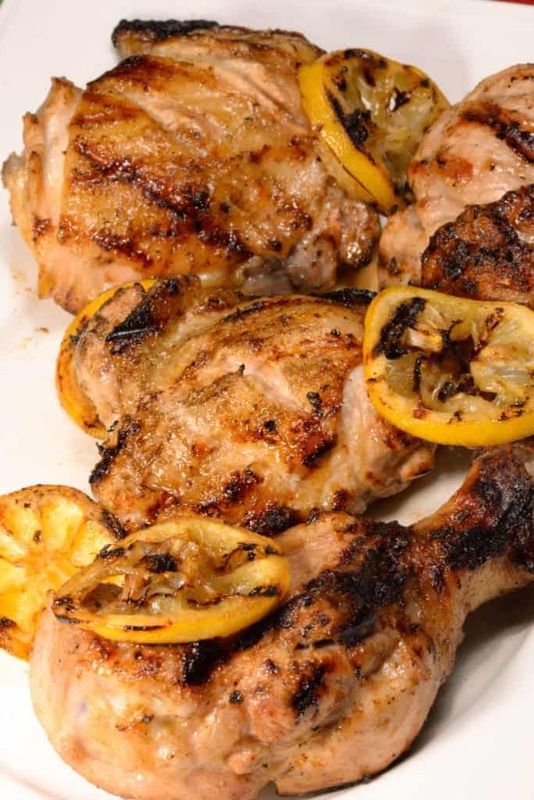 This was lovely and infused with many of the flavors of Lebanon; seven spice, garlic and lemon were the main ingredients for the marinade, along with a touch of cinnamon. The chicken was served alongside Lebanese spiced potatoes, called Batata Harra. 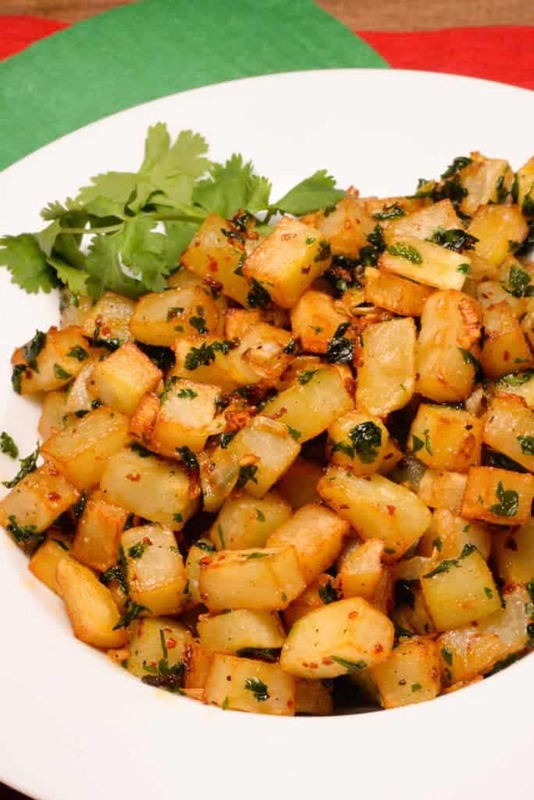 The potatoes were first fried, then seasoned with onion, garlic, coriander, Aleppo pepper and freshly chopped cilantro. These were excellent potatoes, which were served with the same garlic sauce used with the chicken. 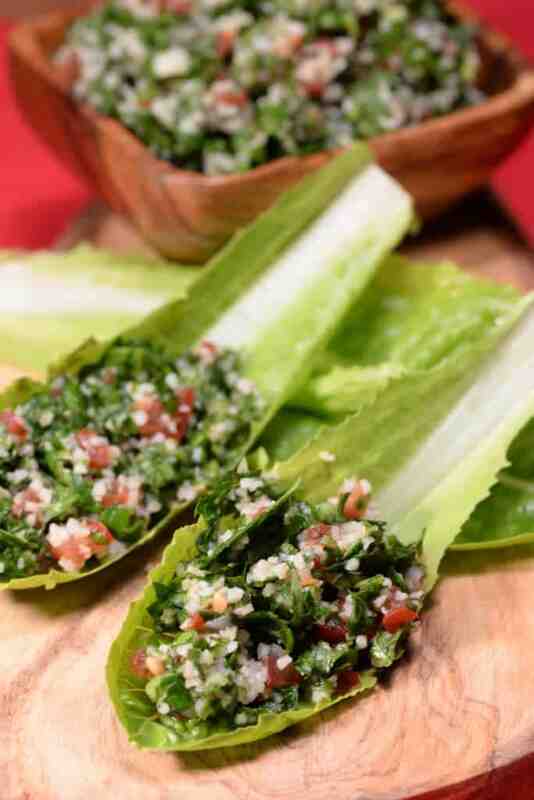 Tabbouleh is an amazing herb salad, where fresh chopped parsley is the star of the dish. It is made with fine, bulgur wheat, (but just a bit) fresh tomatoes, mint and scallions, along with lemon and a touch of olive oil. (This was one of my favorite salads and I will make it often.) It is served with romaine lettuce leaves and is considered to be a palate cleanser as well. 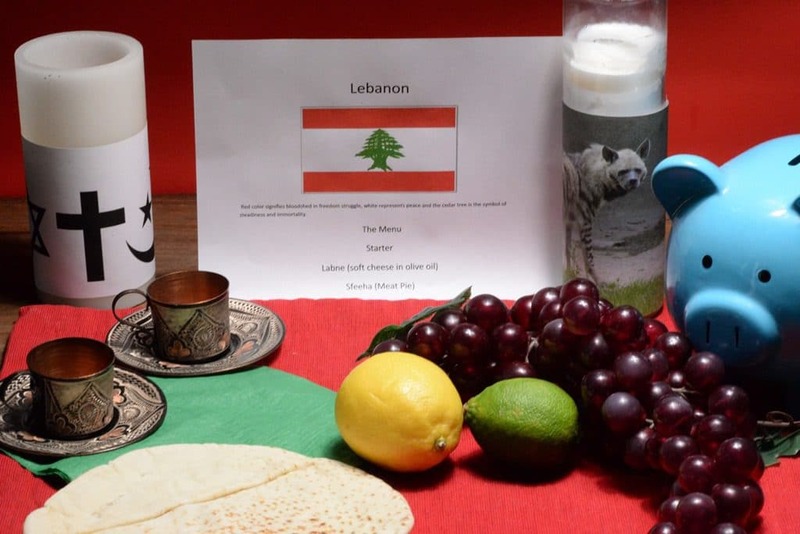 It is a wonderful choice for a Lebanese meal as it makes up the colors of their flag. Tabbouleh is often served as part of a mezze. For dessert, we had a delightful milk and bread pudding called, Aish el Saraya. It is really easy to make and so flavorful. Basically it is made with bread or biscuits that are soaked in syrup, which has been flavored with lemon, orange blossom and rose water. The bread is covered with a milk custard, which is not too sweet, and flavored with a touch of mastic. (Mastic is a piney flavored ingredient used in baking.) The whole thing is then topped with pistachio nuts. The syrup is served on the side to add extra sweetness to your liking. We served this with a rich cup of Arabic coffee. As we say goodbye to Lebanon, I leave you with a quote that came from one of Lebanon’s famous and revered writers and artists, Khalil Gibran. Most people associate this quote with John F. Kennedy, as he used it in a speech in 1961. It seems most appropriate for a country facing today what may be its toughest challenges.